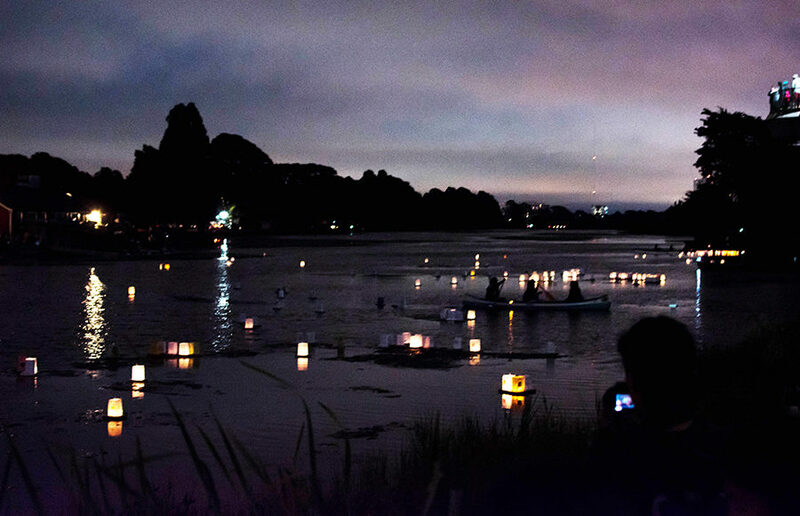 More than 600 candlelit lanterns floated through Berkeley Aquatic Park on Saturday evening as part of the 16th annual Bay Area Peace Lantern Ceremony, an event to commemorate the victims of the atomic bombings of Hiroshima and Nagasaki in 1945. The event included a ceremony featuring Taiko drumming, speakers and messages from the mayors of Hiroshima and Nagasaki. The event also featured activities for the more than 3,000 attendees, such as origami paper crane folding, lantern shade decorating and postcard writing to government officials in support of the United Nations effort to ban nuclear weapons. 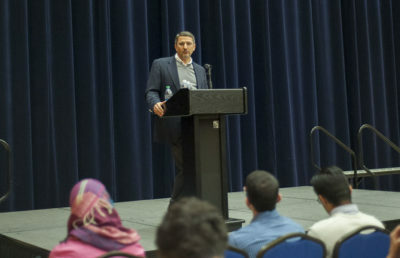 Freedkin founded the event in 2002 after visiting Osaka as the former vice chair of the Berkeley Peace and Justice Commission. In Osaka, Freedkin was touched by the story of a World War II survivor, and vowed he would attend a lantern festival every year on her behalf. Upon returning to the United States, Freedkin gathered a group of friends to establish the first Bay Area Peace Lantern Ceremony, which he said was attended by about 100 people. San Francisco resident Marcie Patacsil said she heard about the event on Facebook and was encouraged by her friend to attend the peace lantern ceremony. Some of the volunteers were introduced to the event through Facebook as well. Yuka Takahashi said she found the Peace Lantern Ceremony on accident after she moved to the Bay Area from Hiroshima four months ago. In addition to teaching event-goers how to fold paper cranes, Takahashi also read the statement from the mayor of Hiroshima during the ceremony. Takahashi said she learned a lot about peace in Hiroshima, and she wanted to see what events people in other countries were holding for peace. Contact Valerie Hsieh at [email protected] and follow her on Twitter at @valhsieh.